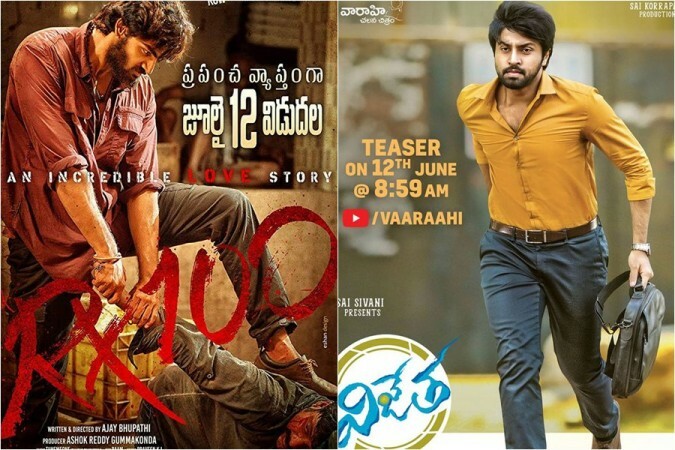 Karthikeya's RX 100 has collected approximately Rs 2.15 crore gross at the box office on the first day, while Chiranjeevi's son-in-law Kalyan Dhev's Vijetha grossed Rs 1.50 crore gross on its opening day. Karthikeya's RX 100 has received a thunderous opening and made bigger collection than megastar Chiranjeevi's son-in-law Kalyan Dhev's Vijetha at the worldwide box office on the first day. Kalyan Dhev is the latest member of the mega family to make his entry as a hero in the film industry. 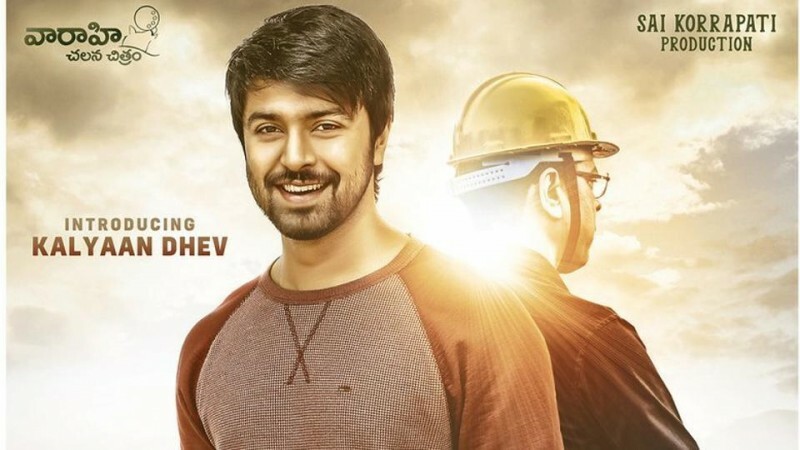 His first film Vijetha is titled after Chiranjeevi's 1985 hit film which had given a big break to the megastar. Just like that, this movie was expected to get a big opening and catapult him to stardom. With its promo striking chord with mega fans, many people thought it would get him a break. On the other hand, Karthikeya made his acting debut with 2017's Telugu movie Prematho Mee Karthik, which failed to get him a break. The promos of RX 100 had raised the bar of expectations and curiosity of the viewers. But none predicted that it would lead the race at box office, beating Kalyan Dhev's Vijetha. The Kalyan Dhev starrer was premiered in the US on Wednesday and got an average response at the box office. Vijetha witnessed an average amount of footfalls in the morning shows in Andhra Pradesh, Telangana and other parts of India. The word of mouth would boost its collection in the later shows. But the film received a mixed talk from everyone, which took a toll on its business on the first day. Vijetha is estimated to have collected approximately Rs 1.50 crore gross at the worldwide box office on the first day. The film is said to have earned over Rs 80 lakh for its distributors, who have reportedly shelled out Rs 5 crore on its theatrical rights. It should be seen whether it will recover their investments in coming days. On the other hand, RX 100 was also premiered in the US, where its response was poorer than Vijetha. But the film witnessed good occupancy in the morning shows and was successful in impressing most of the viewers. A strong word of mouth helped it go on strength to strength in the later shows. The movie ran to packed houses in many centres in the afternoon and evening shows on the first day. 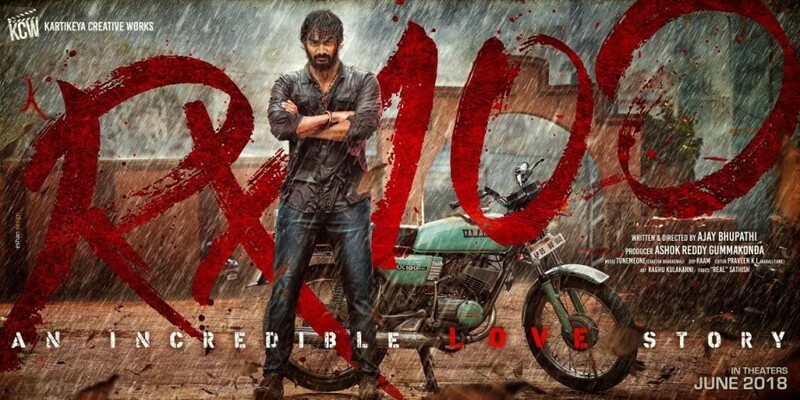 RX 100 has collected approximately Rs 2.15 crore gross at the box office on the first day. The Karthikeya starrer has earned Rs 1.42 crore for its distributors in the Telugu states. The movie has earned Rs 2.70 crore for its producers from the sale of its theatrical rights. Its present trends show that the movie will easily recover the investments of the distributors in the first weekend fetch good profits in coming days.